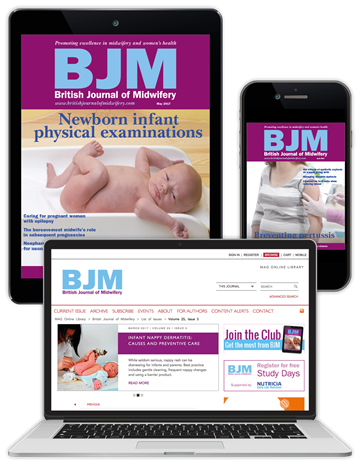 British Journal of Midwifery (BJM) is the peer-reviewed journal for the UK's practising midwives, containing an unrivalled amount of clinical, professional and educational content on all matters relating to midwifery and women's health. 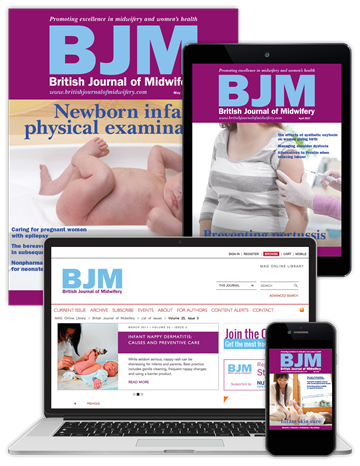 The journal publishes up-to-date, evidence-based original research, clinical reviews and professional articles, which aim to establish best practice in maternity care. BJM's goal is to challenge readers to reflect on and evaluate their own practice, to help them grow and develop professionally. 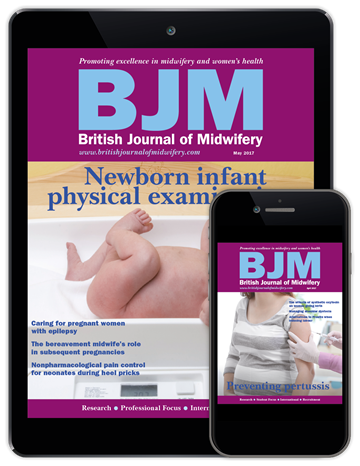 It covers the full spectrum of midwifery, from antenatal to postpartum care, with every article reviewed by leading practitioners to ensure their quality and relevance. 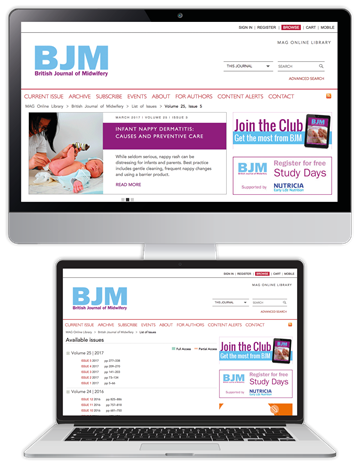 "BJM is a must-have journal, keeping us informed, up-to-date and involved in the challenges our profession faces on a daily basis." 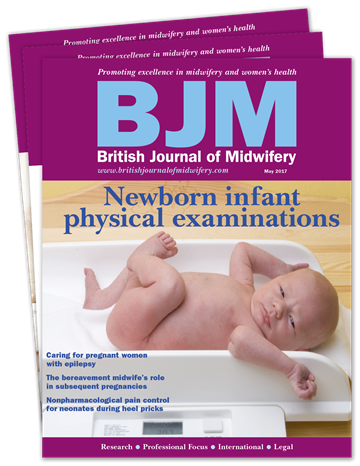 "BJM covers a wide range of issues each month and I feel that all midwives would enhance their practice by reading it." You will also receive unlimited access to CPD Launchpad - the online platform helping midwives to meet their revalidation requirements.